Until his death in 2016, Merle Haggard was hailed right across the musical spectrum, from rednecks to punk rockers. With 22 years old, he was among the audience at Johnny Cash’s legendary 1960 concert at San Quentin prison, as he was serving time for a botched break-in. 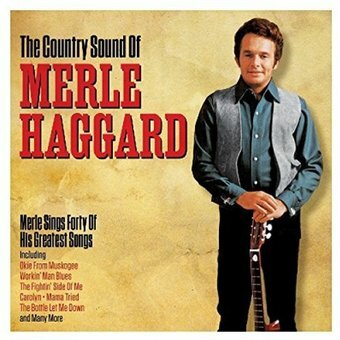 But seeing the Man in Black that night, inspired Merle to make music, not crime, his career - and even the swiftest glance at the forty songs on this collection will confirm that he made the right choice.